E4 is Entry level phone loaded with the Mediatek 1.3 GHz Quad-core processor, 5 MP rear and 2 MP front camera, 1 GB RAM and 2300 mAh battery. The body is made up of plastic having candy bar design with rounded corners seems slightly bulkier design but fits in hands. The IPS display is 5 inches in size protected with Scratch-resistant glass the display resolution is not 720x 1280 (HD) or Full HD, its 540 x 960 (qHD) can be a downside. The display density is slightly lower (220 ppi) than handsets of same price range but screen is crystal clear sharp with good colour production having wide viewing angles. CPU powered with Mediatek MT6582 Quad-core processor with 1 GB of RAM runs most of games of applications but struggles in running high end games such as Asphalt. The battery of this handset is really impressive runs for more than one day for moderate to heavy uses. 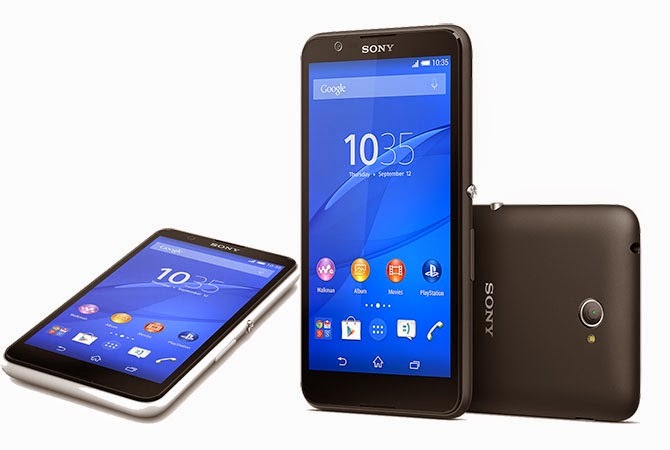 Sony STAMINA Mode, Extended standby mode, Ultra STAMINA Mode is useful to increase battery backup. Both front and rear Camera are able to capture decent quality pictures. The xLOUD™ loudness enhancement engine for better sound quality. The 2300 mAh Battery is giving good battery backup. It is able to record and play Full HD (1080p) Videos. Low screen resolution 540 x 960 pixels (qHD). This handset is good option under budget segment, if you are fan of Sony Smartphone having Great music quality. This handset doesn’t have any special feature that can set a benchmark but all the features provided in this phone from camera, battery, display clarity to CPU are decent and runs smoothly .